These were for a dessert table for a Girl Baby Shower. 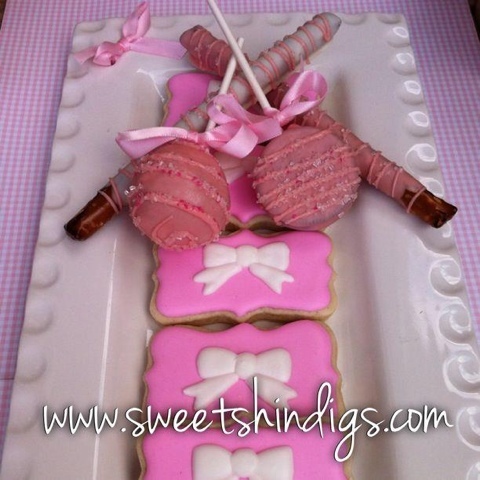 Cakepops, Sugar Cookies, Dipped Pretzels, Oreos on a stick all covered in pink and white. Houndstooth design chocolate sugar cookie.